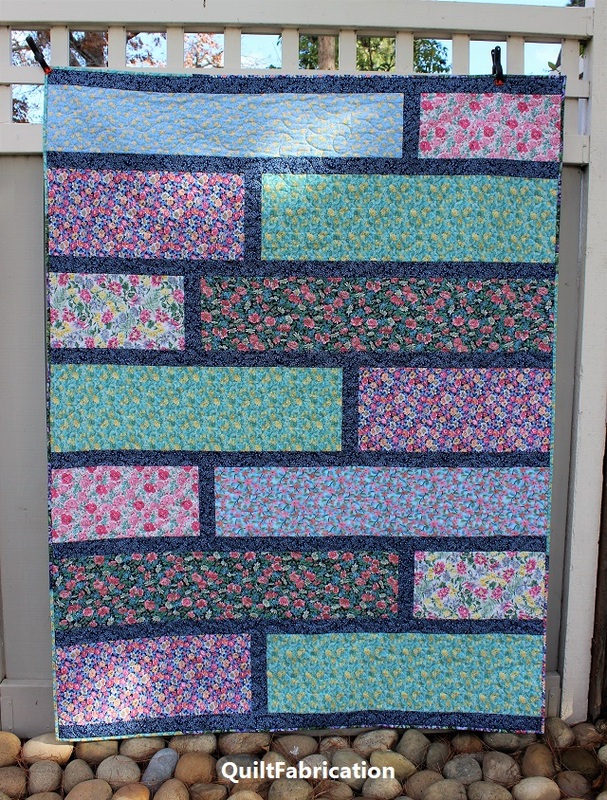 For the last few days, I've been super busy sewing away, making quilts for those who lost their homes in Paradise, CA. 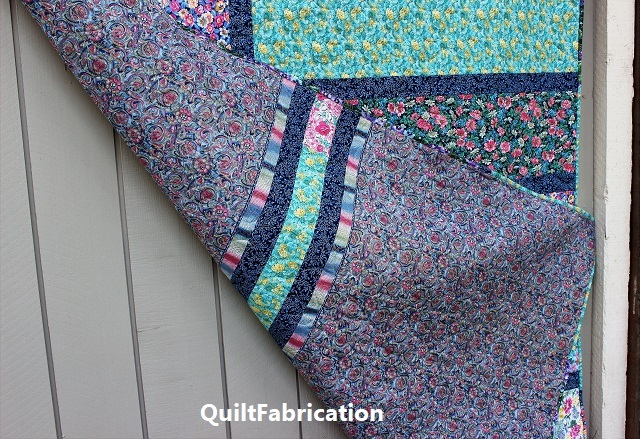 What started out as random WOF floral pieces that all had some blue in them, then sewn together in bands with dark blue sashing, turned into great quilt! I love all of the color in this one with all of those florals - it really gives off a soft, "snuggle with me" vibe. I forgot to take closeup pictures, but I do have one of the back. I needed just a bit more backing length, and had an extra panel leftover which helped for that and binding. This one is for a young lady, and is full of fun 10" squares I had gotten at a quilt show a few years ago. Adding in some dark blue for shadowing, and a multi-colored print for sashings, this one will be treasured too! 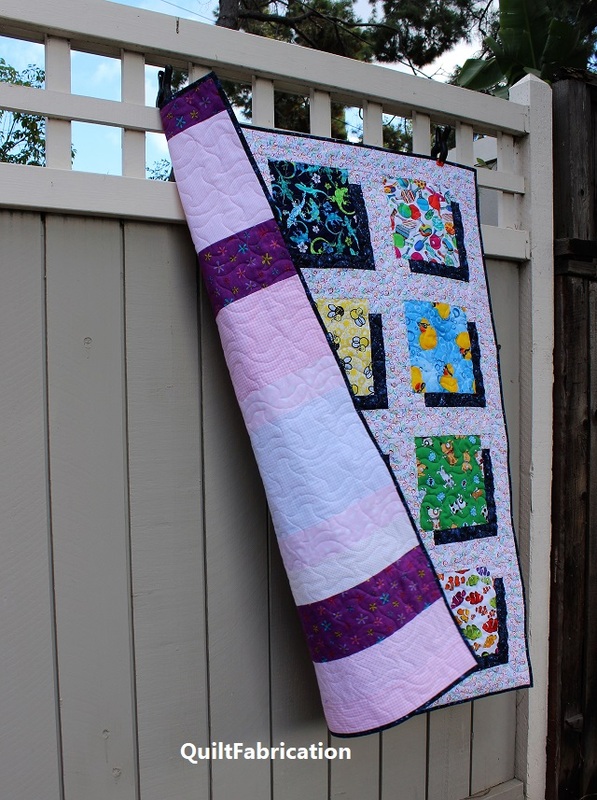 And all those leftover pieced flannel strips made a great backing. With the first two finished, a third is on it's way! I have until Tuesday to get it done. For those of you wishing to send quilts to Paradise, I wish I could provide you with an address. I'm sending these with two guild members who are delivering quilts and quilting supplies to Paradise next week. I'll see if they know of a specific organization or address and will let you know. 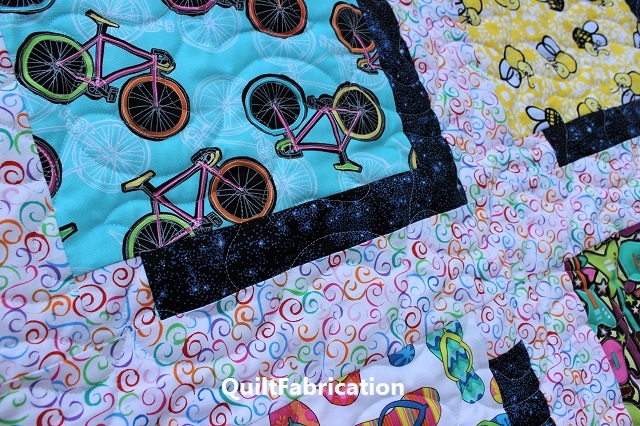 What awesome quilts! I am sure they will bring comfort to just the right people. I love the shadow block technique. Will need to look into how to do that. Thank you for your efforts for the Paradise Fire victims. I sent blocks to Carole (From my Carolina Home) for the Carolina flood victims. 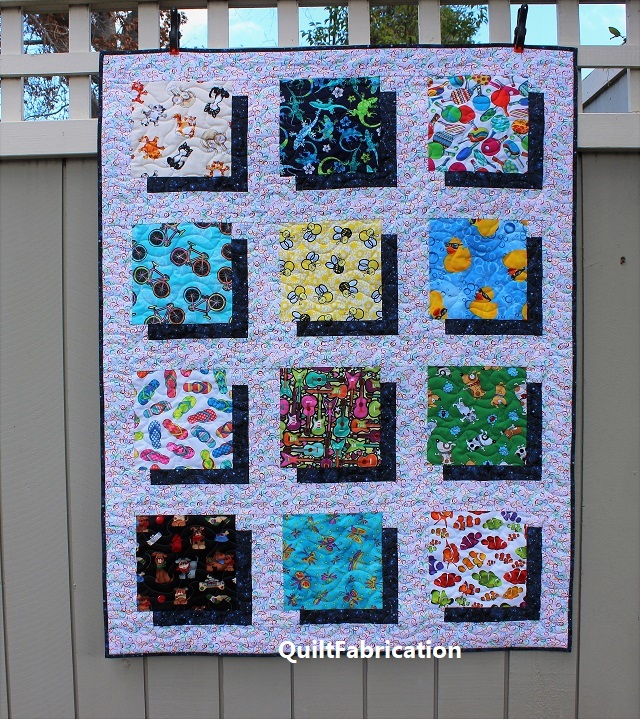 With all these natural disasters, it's a good thing we quilters have deep stashes. Yes, too many disasters. I also sent blocks for the hurricane, and hope to send 5 quilts to Paradise tomorrow. BTW, I have a shadow block tutorial, for a smaller block than the 10". But if you read the post, I put the measurements in there for the 10". Hope this tutorial helps! I love your strippy quilts. Are you doing a tutorial on them by chance? Did you sew the skinny strips to the big ones WOF and then cut to the size you want? A great stash buster for donation ones for sure. I do plan a tutorial for this quilt, probably next week. These quilts are so beautiful and I know they will be so loved and treasured by those who lost everything. What a beautiful heart you have. Amazing. I'm sure your hard work and loving stitches will be appreciated by the recipients of these beautiful quilts. Thanks for linking up to What I Made Monday!